As a followup to my recent posts about investing through Lending Club, I thought it would be interesting to crunch some numbers related to historical loan performance. One obvious concern when it comes to peer-to-peer lending is that the borrowers will default. 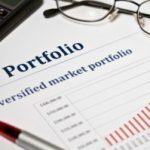 At best, this will severely dent the return of your overall portfolio. At worst, you’ll wind up losing money. So how bad is the risk? What follows are three tables reflecting the current status of loans issued during 2007, 2008, and 2009. Since Lending Club notes have a three year maturity, none of them have actually matured yet. While it might be more informative to calculate these stats in terms of dollar amounts, I decided to use numbers of loans for simplicity. As a reminder, Lending Club grades their borrowers based on perceived credit risk. Grade A borrowers are those that have been judged to be the least risky, and thus they have the lowest interest rates. Grade G borrowers, on the other hand, are the most risky and have the highest interest rates. For more details, check out my Lending Club review. For reference, Lending Club issued 603 loans in 2007, 2393 loans in 2008, and 1681 loans thus far in 2009. The 2009 numbers are, of course, much less useful. After all, we’re only six months into the year, so there hasn’t been much time for these loans to go bad. Regardless, I’m including it here in the interest of providing full data. One of the most obvious things that you’ll see from these data is that the Lending Club default rate does, in fact, generally correspond to the loan grade. Interestingly, there hasn’t been a single default (120+ days late) on a Grade A loan regardless of the timeframe. Move down the list, however, and things change quickly. Looking at the 2007 data, the default rate for Grade B and C loans is approximately 10%. As you get into Grade D and E loans, things deteriorate further as the default rate climbs into the 15-20% range. Finally, the Grade F and G loans have a 25-30% default rate. These data also suggest that the overall default rates are artificially low due to the young age of the average loan. In fact, looking at 2009, the seven loans grades look essentially identical. Move back just one year, however, and the expected pattern of higher defaults amongst the lower credit grades begins to emerge. It will be very interesting to see where things settle out as those first loans begin to reach maturity. As for me, I suspect that my Lending Club experiment will have mixed results. While it looks like my “high risk” portfolio (composed of Grade D/E/F/G loans with an average rate of 15.2%) might be headed for trouble, my “low risk” portfolio (composed of Grade A/B/C loans with an average rate of 9.9%) stands a decent chance of delivering solid performance. If you have any thoughts or personal experiences regarding loan repayment (or lack thereof) on Lending Club, please share them in the comments. After the treatment I received, I decided I did not need the aggravation of further dealings with lending club. So I have not followed up on anything to do with lending club. I find that I can easily invest my excess funds in ETF’s (exchange traded funds) that deal with preferred stocks and earn an annualized return (paid monthly) of over 7.9% with the chance of capital appreciation. A better deal in my opinion. Any chance on providing an update to your Lending Club story. Found this on Google and would love to know the current status. You should do an update on your LendingClub post, 7 A grade loans have now defaulted. 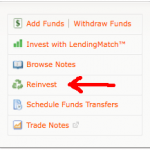 After reading your initial post on Lending Club I decided to investigate and either invest and/or place a request for a loan. I read through their website and linked to the prospectus filed with the SEC. I was at first alarmed to see that their independent accountants gave them a “going concern” caveat–but I felt that that was in part due to the situation where they stopped funding loans (I believe in 2008) while their registration statement was pending. The other question I had was whether the loans they processed prior to the SEC registration were actually “legal”. Despite these reservations I thought I would give it a whirl. Your application reveals that current obligations are excessive in relation to income. Let’s see, I have a tax free income of over $85,000 per year (translating into a taxable income of over $120,000/year)—-my current obligations are $17,000 with no mortgage and the auto payment included in the $17,000. The credit department either sent out a form email or just either did not have the time or the expertise to examine my income (which basically shows as nil on my 2007 tax return due to the non-taxable nature of my income-I had provided explanations along with supporting data showing the income coming in and that I had purchased my disability policy after tax, thus not being taxed on the benefits, if needed). I was afraid that their decision would be reported to the credit agencies and affect my FICO score which is in the 700’s. I wrote an email to all of the officers of the company,from the founders down (which I found in their prospectus), even asking for an apology if warranted, and noting that I would apologize if warranted) and all I received was an email in reply simply stating that I could refile my request for a loan if I submitted my 2008 income taxes. Well, my 2008 taxes will show the same as the 2007–a very low income since my income is essentially non-taxable. And, of course the email did not really address the questions I posed after I received their “Adverse Action” email. I know this is wordy, but I do think that the problem is that their credit review department is understaffed and unable to make reasonable decisions for those whose profile does not fit into the “mold”. I have two suggestions for Lending Club, in case they are reading this blog–1. Either staff up the credit review department and/or 2.Do not post the loan request until the credit status is “Approved”, thus giving investors the full 14 days to fund the loan. Despite my unfavorable encounter with Lending Club, I am thinking of actually being on the investor side–I believe they have enough controls in place in case the firm goes out of business. But I have no intention of ever requesting a loan from them–first I don’t need it ,and second–their processing/operations need great improvement. Red, I’d be interested in knowing how you determine which loans to make. What is your process? Nickel….could this be a post subject? If you are lending “blindly”, then stick to the A-D loans. But I’m a bit of a risk taker and I have been lending to E F and G when the story makes sense. So far, so good. After a year, my returns are around 9.5%, which is slightly higher compared to an A loans only portfolio. I think the trick is diversification + risk mitigation based on careful selection of loans. If you can do both, more power to you. Diversification: lend to as many loans as possible. Risk Mitigation: don’t lend to hokey stories, ask questions, make sure the person has a stable job, look at the credit numbers, etc. Joe R (#3) : You may be interested in selling your “bad” loan on the secondary market. You can really save yourself if you are worried about it. A couple dollar loss instead of a $25 loss sounds better to me..depends how risk-adverse you are. I’m currently lending with Lending Club. Unfortunately one of my two loans fits into the C grade 31-120 days late for 2009 category. I don’t think the guy is ever going to catch up on his payments. It looks like I have reason to expect better results from my A grade loan… but one never knows. I am also interested in this. I am also frightened of it. I guess I should give it a try with a little cash…. If you had similar hesitations, how did you overcome your fear? Very interesting. The data seems to suggest that it seems to work. How recently was the data collected? A week, month, two months? I am getting more interested in this as you share your experiences.